RV cooking isn’t the easiest task in the world. However, if you keep a set of several simple things in mind, you can enjoy healthy food while on the road. Planning your menus ahead is a great idea, as you’ll know what supplies to purchase before going on the road. Be sure to consider preparing a final dinner before going home. Take notes and consider the people who are picky eaters or whose health can’t allow them to eat anything. 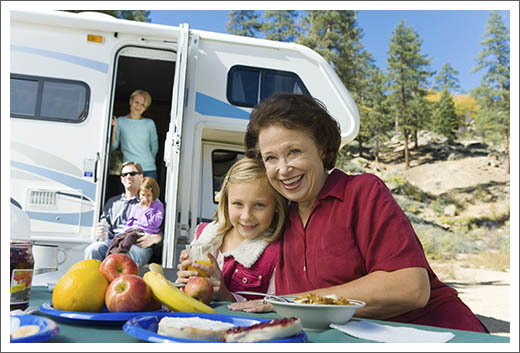 Some individuals are lactose or gluten-intolerant, and if that sounds like the people you want to go RVing with, consider their needs as well. Low-hassle options don’t require a lot of work, as they can be prepared in a timely fashion and often times are more simple than you might think. For example, some spaghetti and salad can brighten one’s day. For delicious pasta, simply take some good noodles, a good tomato sauce and some pre-grated Parmesan cheese. Frozen food is yet another noteworthy idea, as you’ll be able to enjoy some lasagna or a casserole even while on the road. After all, baking in an RV is close to impossible. Some of the most common and easy-to-make alternatives require very little effort and are quite nutritious. For breakfast, think anything that involves an egg, such as a frittata or scrambled eggs. If you don’t want any hassle, you might want to try some sandwiches or a canned soup for lunch. Dinner can be anything from hot dogs and burgers to potatoes and canned or frozen veggies. Snacks may include popcorn, crackers, cheese dips, fruit, and granola bars. Everyone loves a burger from time to time. The neatest thing about this recipe is that it’s easy to make and the ingredients can be found pretty much anywhere on the road. All you need is some ground beef, a carrot, a potato, half a cup of breadcrumbs, a small onion, an egg, and salt and pepper. As it is to be expected, all of the ingredients have to be cut, minced or grated, and then mixed together. 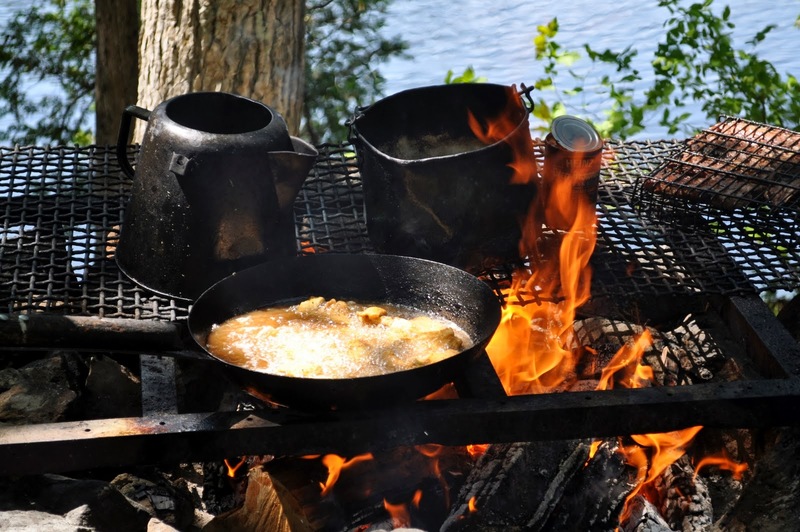 It’s one of the simplest meals to prepare after you’ve reached the campsite. This is a somewhat more complex recipe compared to the previously described all-in-one burger. For one, you need a can of crescent rolls, a cup of sausage, a cup of shredded potatoes and a cup of shredded cheddar cheese or any type of cheese that melts. Other ingredients include diced onion, a quarter cup of milk, and five eggs. The rolls should be pressed onto a pan. Next, the ingredients have to be spread out, and the eggs have to be beaten with the milk. This mixture should be poured over the toppings. 25 minutes should be enough for a baking temperature of 375 degrees F.
Our final recipe requires the following ingredients: ground sausage, one dozen eggs, a large jar of salsa, a quarter cup of chopped onion, half a cup of chopped bell pepper, several flour tortillas and some shredded Colby cheese. Adjust the quantities according to the number of portions you’d like to prepare. Cook the sausage half way and then add the onions and the peppers. Add the whipped eggs in the same pan once the onion is transparent. The salsa and the cheese should be added at the exact moment when the eggs begin to become stiff. Before preparing the burritos, microwave the tortillas for two to three minutes, as they’ll be easier to roll.